Create a culture that matters. 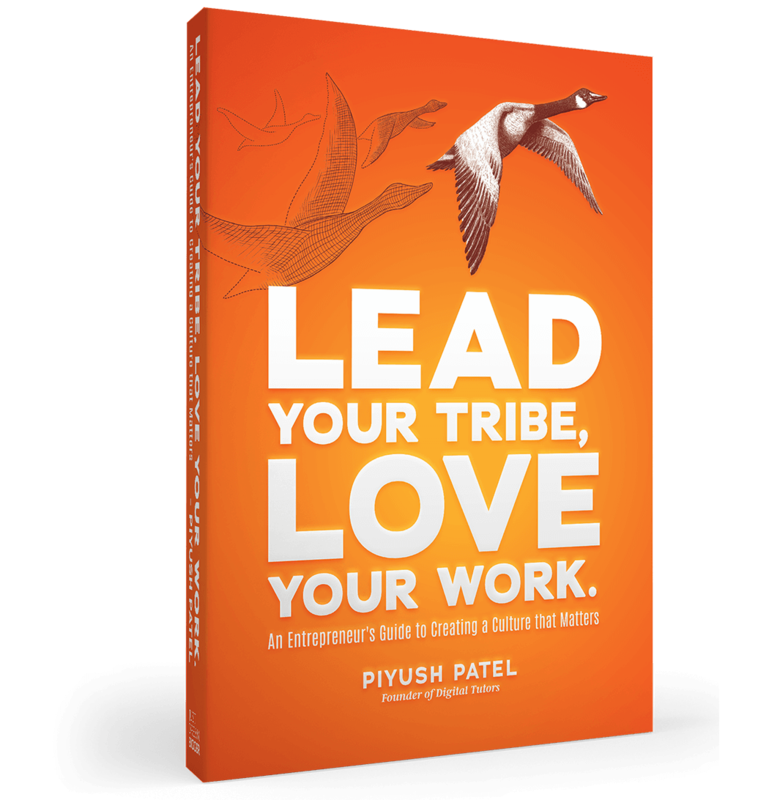 In Lead Your Tribe, Love Your Work, Piyush creates a guide to transform your team into a tribe. With culture-focused principles and rules to inspire greatness, this book will help you unify your team. For bulk orders, please click here. When Piyush started Digital-Tutors, he was in love. Every day, an exciting adventure, every challenge, an opportunity. Somewhere along the way, though, he lost that. He threw out his old playbook and reexamined what he wanted from his company and his people. Making a living wasn’t enough — they needed to make a life. Break down the concept of your values so you can define them with your team. The GROW model can help guide the process. Help your newest employees hit the ground running and set them up for success with the new hire game. Keep what’s important at the top of your mind with a fresh look at Maslow’s traditional hierarchy with BAM at the top. Interested in booking Piyush as your next speaker? Let's talk. When goals don’t meet the current reality, it may be time for a GROW meeting. In this simple and structured meeting, you’ll be able to stay on point while getting on the same page with everyone involved. Learn to have more meaningful and effective meetings with this FREE guide. © 2018 Dream Big, LLC. All logos and trademarks are the properties of their respective owners.